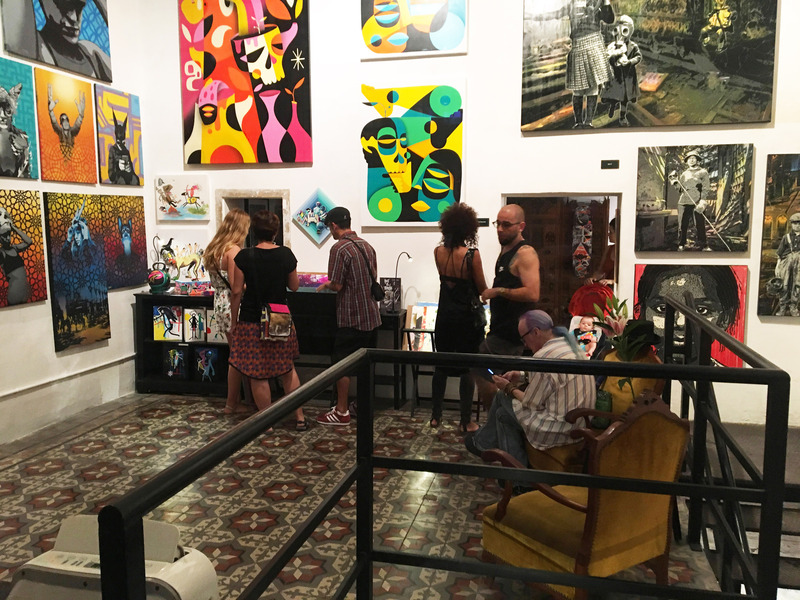 On Saturday night we had one of our spontaneous Art parties, featuring the new collections of works from all of our artists. Thanks to all that came by and hanged out with us. We had a nice time chilling, chatting and enjoying the art while Blanali was providing the mixes. This exhibition will be through out September. Welcome any time. This entry was posted by Base Elements in Gallery shows, New Works.